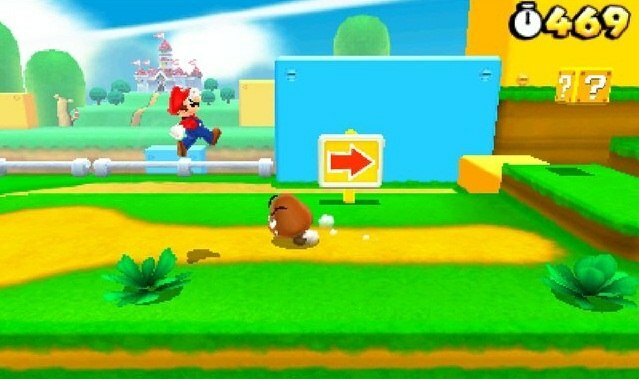 Nintendo fans will soon be getting a new Mario game and a new way to take the company's systems online. 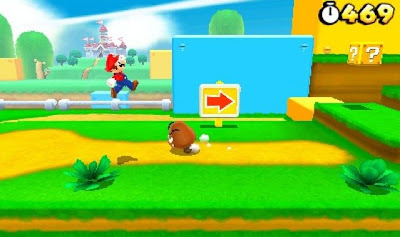 Today, Nintendo announced that a new 2D Mario side-scroller is in development for the 3DS and detailed the plans for an online hub called the Nintendo Network for the Wii U and 3DS. Nintendo shed little light on the new Mario title outside of acknowledging its existence. The company assigned the game a broad release window, saying it will ship during Nintendo's next fiscal year, which runs April 1, 2012, through March 31, 2013. Nintendo also announced today the Nintendo Network, a new online service for the 3DS and Wii U that will cover "competitions and communication among users, as well as the sales of digital content." According to the company, the Nintendo Network will run parallel to the current Nintendo Wi-Fi Connection service. Additionally, the Nintendo Network will introduce a personal account system for the Wii and will allow for multiple accounts to be registered to the console. According to Nintendo, offering this has been "a challenge we needed to tackle." Further, Nintendo said it is exploring the possibility of offering full-game downloads through the Nintendo Network for the 3DS and Wii U. Nintendo said it already has the required infrastructure to allow for full-game downloads, and the concept was "built into the design" of the 3DS. Nintendo indicated that full-game downloads for the 3DS and Wii U may still be far off. According to the company, it has not yet finalized partnerships with wholesalers and retailers, and storage capacity on SD memory cards is also an issue needing to be considered. The last major announcement during Nintendo's investor meeting was word that the Wii U's tablet controller will include Near Field Communication (NFC) support. According to Nintendo, adopting this technology into the Wii U's tablet controller will make it possible to "create cards and figurines that can electronically read and write data via noncontact NFC and to expand the new play format in the video game world." NFC technology was most recently used in Activision's Skylanders: Spyro's Adventures. In that game, players use real-world action figures to alter gameplay within the gameworld. According to Nintendo, NFC technology for the Wii U could enable further possibilities including "means for making micropayments." The Wii U is due for a global launch by the end of 2012. No mention has been made of a price for the forthcoming console. Gamers eager to get a further glimpse at the console can follow the 2012 Electronic Entertainment Expo, where Nintendo will have finalized hardware on hand.